SHOULD WE GO WITH GRAND CIRCLE? Q – Your website has an amazing amount of information-thank you- we are preparing to book our first European river boat cruise-we’ve traveled to China on Viking and Vietnam with OAT- We are not looking for a 5 star experience on board-prefer it to be about what we see and learn from our trip-but-with that said-we do like nice accommodations Can’t find a lot of reviews for Grand Circle -as they are the parent of OAT-we figured we would get similar cultural experiences we had in Vietnam Nam(5+stars)- Would like your thoughts: good, bad, and recommendations on traveling with them-or someone else Thanks so much. A – Thank you for your e-mail. As you have booked with OAT and looking into Grand Circle, we would not wish to interfere with the relationship you have with your present consultant. He or she will be the best source of information and recommendations as this person will know you best. Grand Circle claims that it has some of the most immersive programs at sea. 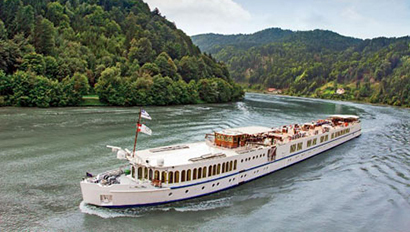 As a general rule, we are quite specific as to which river cruise lines are highly rated. If you don’t see one listed there are numerous reasons why. Our suggestion would be to see which of the two or three top-tier travel agent consortiums works with the river cruise line. That will tell you a great deal about their financial standing, customer service, and product quality. If your travel consultant sells and highly recommends Grand Circle, we would place some faith in that recommendation. It has been our experience that virtually none of the better consultants in this field book the company. That should give you pause. In any travel transaction, having your own independent advocate is something we have found to be extremely important. We are pleased that our information has been helpful to you in your travels.